Benes Consulting, LLC, is led by Debbie Benes. Ms. Benes has 17.5 years of Clinical and Management experience with knowledge of Standards of Care and Regulations in the Long Term Skilled Care Industry. 2 years experience in the Hospice Field. Experience with Legal Nurse Consulting: testifying expert witness, consulting expert, elder/abuse and neglect, and falls/restraint use. Experience with Life Care Planning: Traumatic Brain Injury, Spinal Cord Injury, and Orthopedic issues. *Review and analyze (summarize, translate and interpret) medical records for deviation from Standards of Care and offer an opinion. *Analyze and interpret hospital policies and procedures, and other essential documents. *Serve as an expert witness and testifying witness to the nursing standard of care. *Prepare chronologies of the medical events involved in a case. *Identify issues of medical record tampering. *Develop written reports for the attorney’s use. *Analyze and summarize depositions and past testimony. diagnosis, outcomes, planning, implementation, and evaluation. the person’s medical and non-medical needs. *Prepares a comprehensive care plan for any injury. *Conducts research that supports the life care plan. *IME Attendance- verbal or written reports. -Screen medical records for merit. -Analyze and interpret hospital policies and procedures. -Prepare chronologies of the medical events involved in a case. -Analyze and summarize depositions and past testimony. -Provide comprehensive home visits to collect subjective and objective data based on the nursing process. -Estimating medical and non-medical needs of person's with a catastrophic injury. Liability, Elder Abuse and Neglect, OBRA Regulations, Falls and Restraints. Debbie Benes is an RN, licensed in California, with a certification in Legal Nurse Consulting (CLNC) and she has received education as a Nurse Life Care Planner (NLCP). She specializes in having knowledge of Standards of Care and Regulations in the Long Term Skilled Care Industry. She has 14 years of Clinical and Management experience in the Long Term Care Industry along with 2 years experience as a Hospice Case Manager. Experience with assisting in the coordination of medical care and return to work, involving Worker's Compensation employees who have been injured on the job, by accompanying the injured worker to all initial and follow-up medical examinations through discharge. Experience is centered on medical record review an analysis, assisting with preparation for annual Department of Health Survey, Developing and Implementing Patient Care Plans, assisting with Patient Care Plan Meetings, Fall Risk and Safety Issues, Restraint Compliance, Pain Assessment and Management, Wound Assessment, Education and Training of Staff. As a Legal Nurse Consultant, Debbie Benes has experience as a testifying witness and consulting expert. I also have experience with elder abuse and neglect, and with falls and restraint use. As a Life Care Planner, I have experience with determining the medical and non-medical costs for persons with catastrophic Injuries. RN Onsite Nurse for Work Comp injured employees. RN in a Subacute Unit of a long term skilled care facility. Care Plan Coordinator. Wrote patient care plans, prepared MDS in a long term skilled care facility. Assistant Director of Nursing and Staff Developer in a long term skilled care facility. Prepared for Department of Health survey. Assistant Director of Nursing in a long term skilled care facility. Clinical nursing services on a pediatric oncology/hematology unit. Hospice Case Manager and Supervisor. RN Supervisor/ Clinical Nurse in a long term skilled care facility. 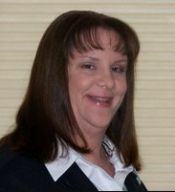 Debbie Benes, RN has 17.5 years of experience in Long Term Skilled Care with knowledge of medical chart analysis, fall investigations, care planning, patient/family/staff education, elder abuts/neglect, knowledge of the clinical aspects of nursing patient care, knowledge of standards of care, and patient rights.